Ahlen, July 2017. – Kaldewei once again demonstrates its brand expertise. At the prestigious German Brand Awards 2017, the premium manufacturer took no fewer than two gold awards – for its corporate website and the design of its stand at this year’s ISH trade fair. Covering all industries, the awards honour outstanding brand management and are presented by the illustrious German Brand Institute and the German Design Council. 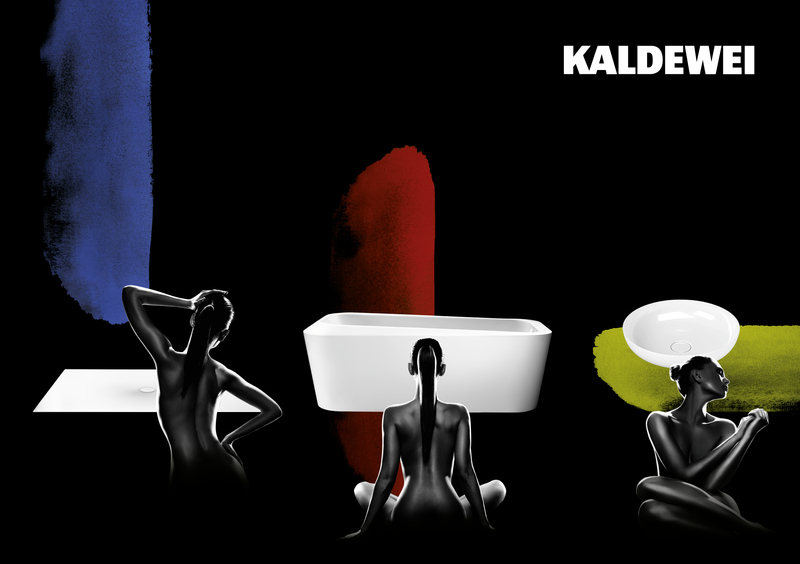 The manufacturer of high-end bathroom solutions made of Kaldewei steel enamel received a gold German Brand Award in the “Excellence in Brand Strategy, Management and Creation – Web & Mobile” for its redesigned website (www.kaldewei.com). Kaldewei’s stand at ISH 2017 also took gold in the category of “Excellence in Brand Strategy, Management and Creation – Brand Fairs, Exhibitions & Events”. The stand, which was designed by the architectural studio of Schmidhuber around the theme of “The Cloud”, impressed the jury with its extraordinary architecture featuring three-dimensional facets and iconic presentation on every sensory level. “The company’s new corporate design was translated into a high-end, elegant and appropriate stand design for the trade fair. The architectural principle promises a high degree of interest while creating a clear differentiation between the various themed sections. 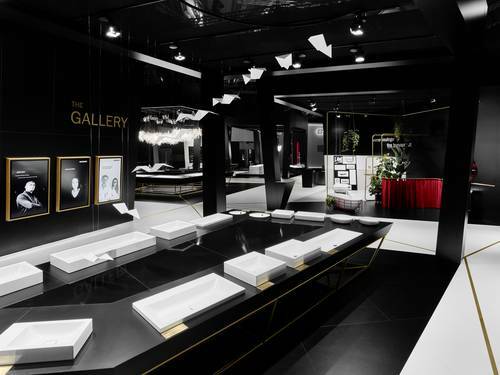 A persuasively-designed stand in terms of functionality, product presentation and brand management,” said Andrej Kupetz, chairman of the jury and CEO of the German Design Council, explaining the jury’s decision. The stand was also recognised as the winner in the “Brand Design” category. The Kaldewei brand proved persuasive in the “Industry Excellence in Branding – Heating & Bathroom” competition class as well and was also honoured here with a winner label. The Ahlen company has therefore chalked up a total of four awards. Kaldewei wins no fewer than two golds at the prestigious German Brand Awards: for its corporate website and the design of its stand at this year’s ISH trade fair. Kaldewei won a gold German Brand Award for its redesigned corporate website (www.kaldewei.com) in the category of “Excellence in Brand Strategy, Management and Creation – Web & Mobile” thanks to its intuitively simple user navigation and practical service tools. There was a further gold German Brand Award in the category of “Excellence in Brand Strategy, Management and Creation – Brand Fairs, Exhibitions & Events” for the Kaldewei stand at ISH trade fair. The expert jury was particularly impressed by the extraordinary architecture and iconic presentation on all sensory levels. Kaldewei also proved persuasive in the “Industry Excellence in Branding – Heating & Bathroom” competition class, being honoured with a winner label because: the Kaldewei brand sets standards in unique, effective communication and in customer-oriented sales – while also breaking new digital ground.